Egypt and Cyrenaica 1:250,000 , Series GSGS 4386. Great Britain. Army. Middle East Command. [London] : War Office. Ente Colonizzazione Libia, comprensorio [district]. 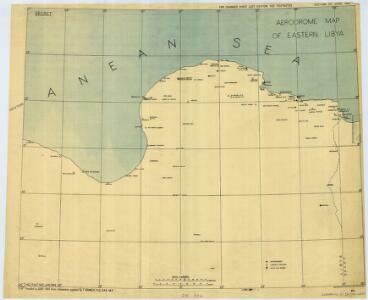 One of a collection of maps of districts in Libya; reproduced from Italian originals. [S.l.] : 512 Fd. Survey Co. R.E. Carte De La Mer Mediterranee. VIII. Partie du Fezzan. Afrique 10. Carte De La Mer Mediterranee. IX. Ancient Africa or Libya II. Description: Aerodrome map of Eastern Libya, DR 326.